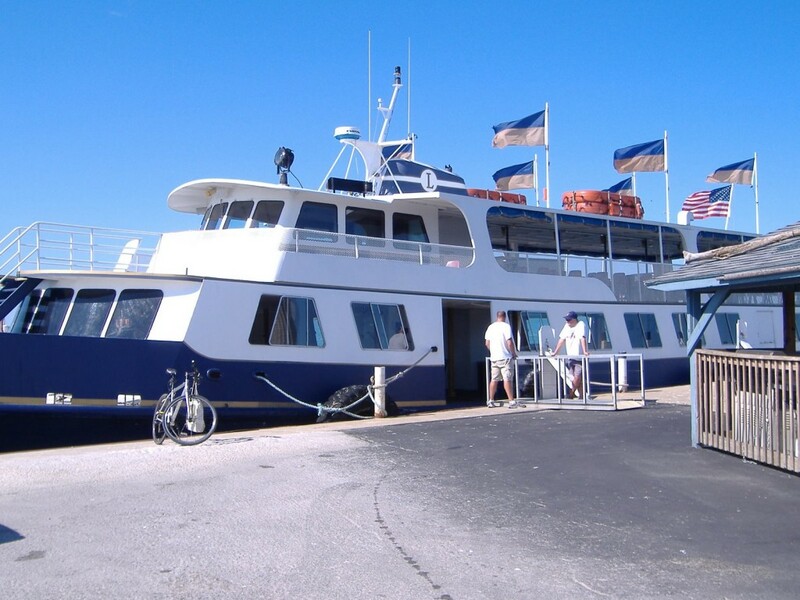 In August, Leisure World took a day trip aboard the Goodtime I to Put in Bay (South Bass) from Kelleys Island. What a great trip!! 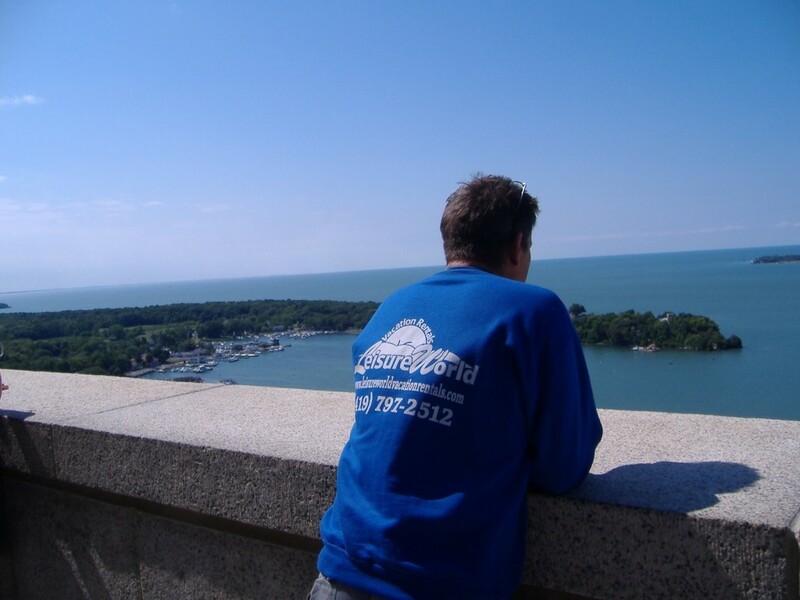 You will hear all about all of the little islands in Lake Erie. 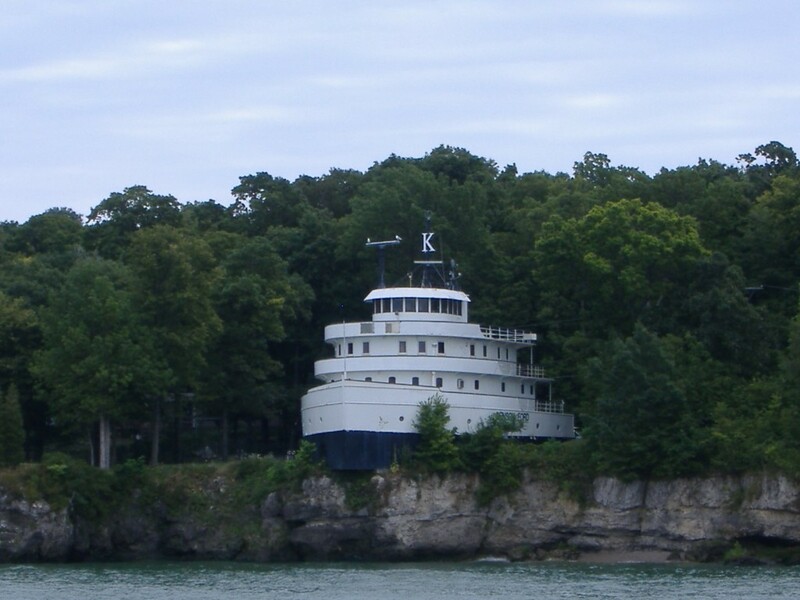 Plus you get time to visit the sites and stores on Put-in-Bay before returning to our beautiful Kelleys Island. Check out the departure times on the dock opposite THE VILLAGE PUMP!!! 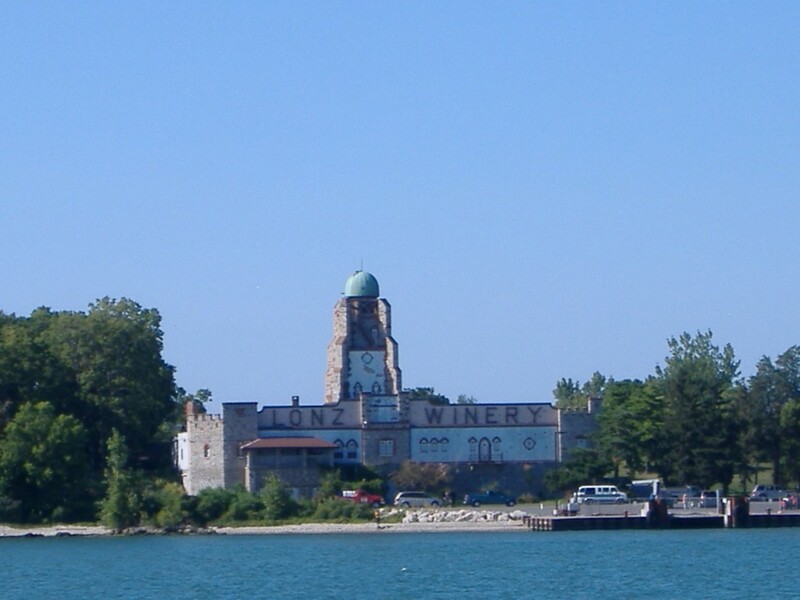 During your cruise, you will go past Lonz’s Winery on Middle Bass Island. Listen as the captain of the Goodtime I tells you all about it. This is the Ford Boat House located on Put-in Bay. People actually live here and it has been featured on HGTV’s Extreme Homes. 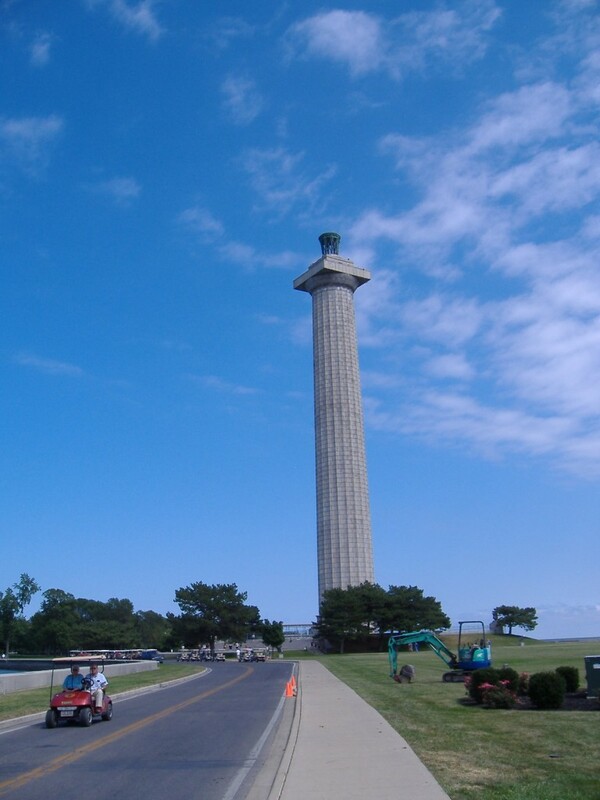 When you are visiting Put-in-Bay, make sure you check out the Oliver Perry Monument like we did. Unfortunately I am not sure you will be able to go to the top because I believe they are updating it and doing maintenance to it. It still is s wonderful site (and great spot for pictures). Leisure World Vacation Rentals went to the top of Perry’s Monument on our day trip to Put in Bay. 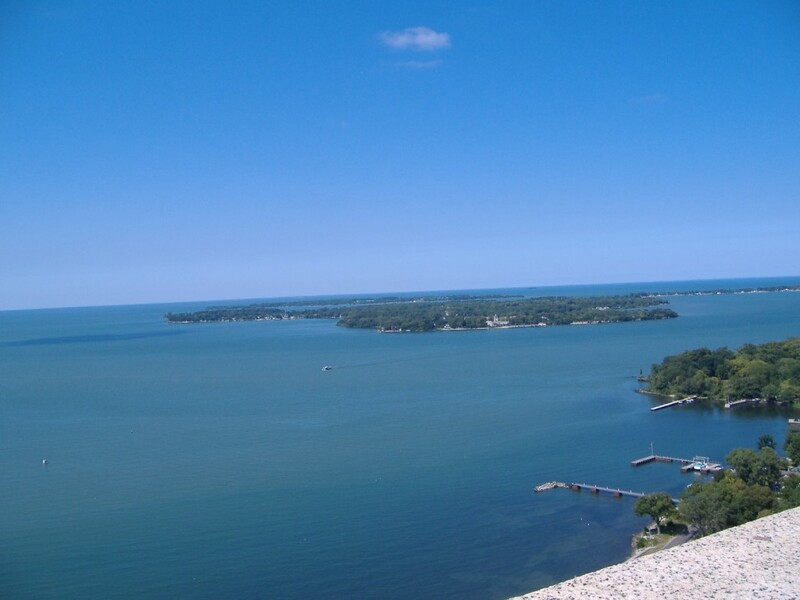 This is just one of the many views of the Lake Erie Islands that you can see from the top of Perry’s Monument on Put in Bay. The views are an absolutely beautiful sight!!! 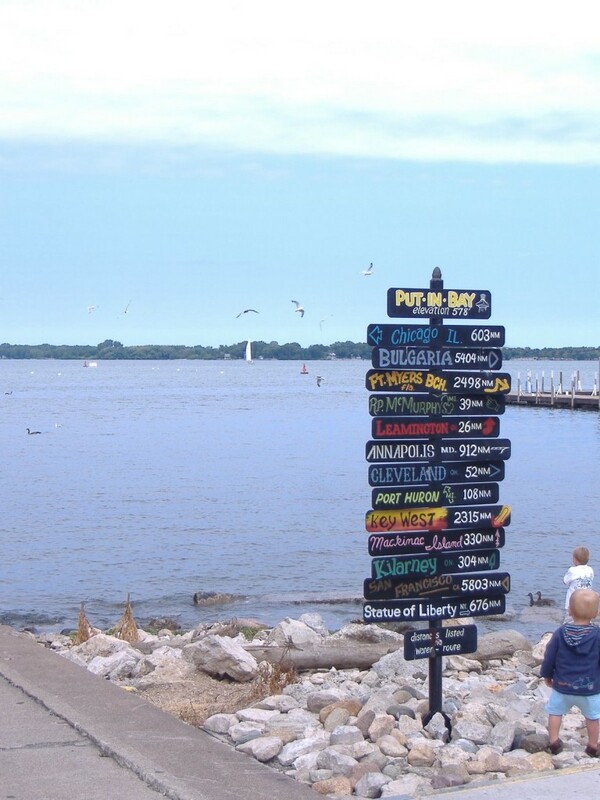 Look for this sign when visiting Put in Bay. It will help you decide your future destination. 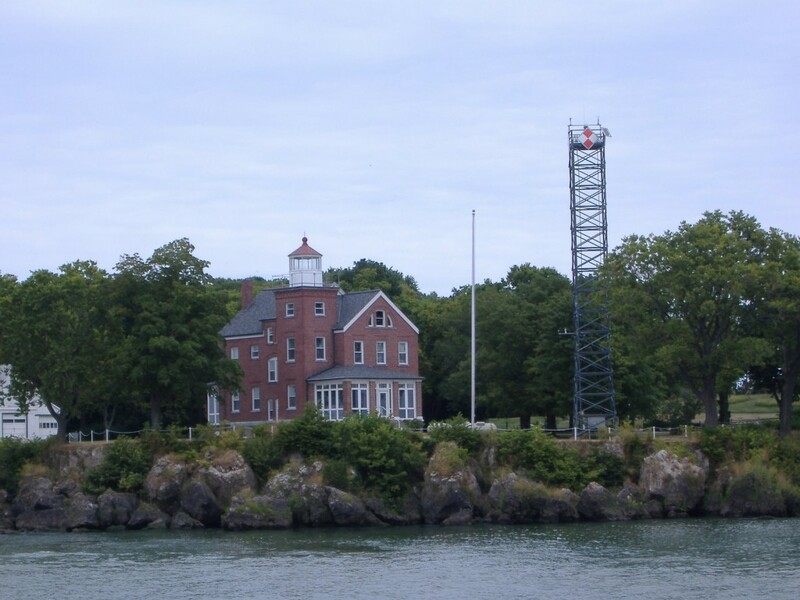 Get a chance to visit the Put In Bay Lighthouse! 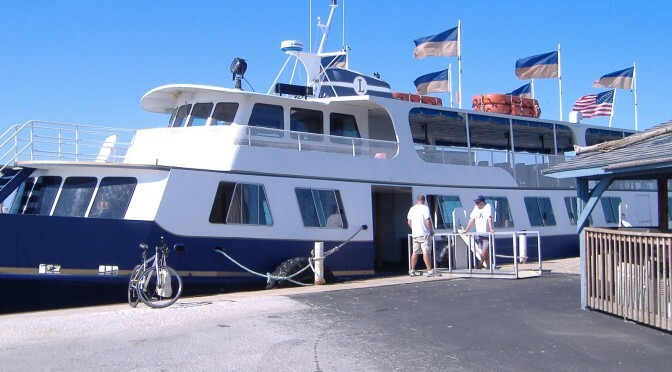 After a relaxing cruise aboard the Goodtime I and a wonderful site seeing adventure on Put in Bay, Leisure World Vacation Rentals were glad to back at our own Kelley’s Island. Another lovely day on vacation!! 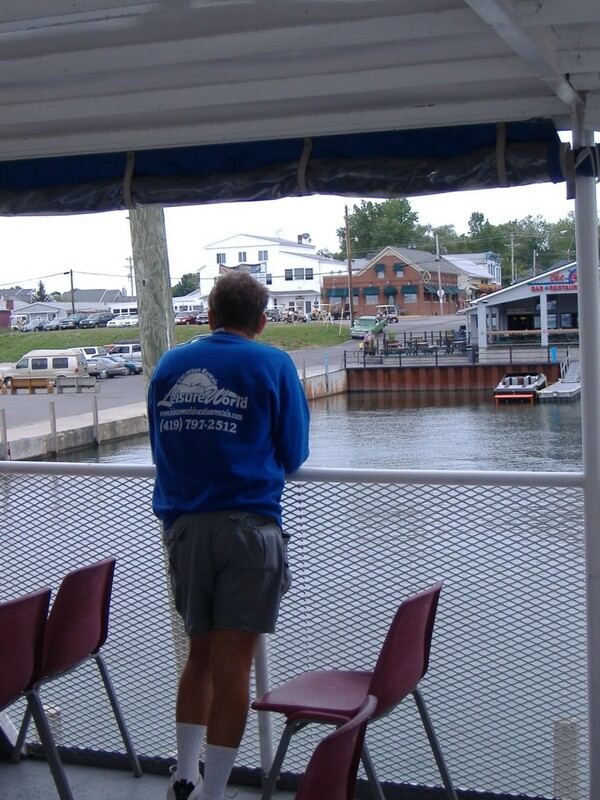 Previous PostAn Introduction to Sandusky, Oh.